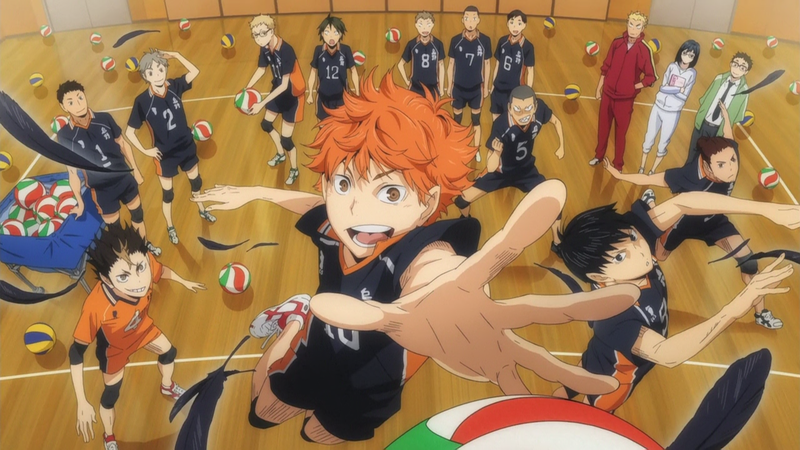 It’s kind a early to make a review about Haikyuu because I usually finish the whole series when I make a review but this time will be different because this anime series gives me the urge to write a review as soon as possible. Haikyuu looks like a typical sports anime but what’s making it different from other sports anime is that it feels realistic and it makes volleyball manly because base on my own thought about volleyball is a sport most played by girls. I never thought volleyball can be this cool and exciting. The show builds a great chemistry on every character and that makes it fun to watch due to a lot of possible potential that will rise in the future of the show. As of now I cannot make a full assumption on Haikyuu thus making my review base only on the 6 episode that has been release. My final notes about Haikyuu, It’s great show and it deserves the highest salutation of all the on-going new anime this spring. A chance event triggered Shouyou Hinata’s love for volleyball. His club had no members, but somehow persevered and finally made it into its very first and final regular match of middle school, where it was steamrolled by Tobio Kageyama, a superstar player known as “King of the Court.” Vowing revenge, Hinata applied to the Karasuno High School volleyball club… only to come face-to-face with his hated rival, Kageyama! A tale of hot-blooded youth and volleyball from the pen of Haruichi Furudate! !